I thought that some people might be interested in seeing a before and after shot of our Sheena. 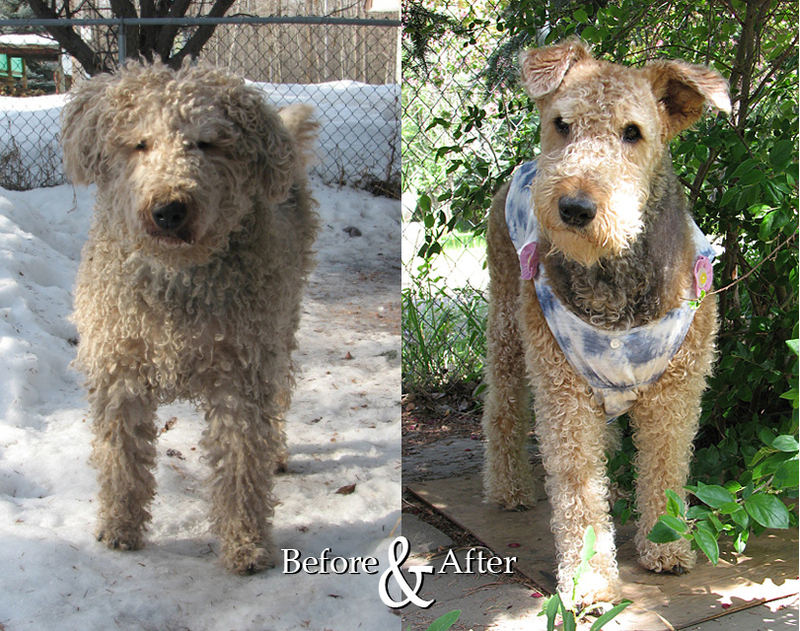 In her “Before” shot, Sheena was 99 lbs and her hair was so matted we had to shear it all off. Her hind mammary glands were hanging down to her hocks. She could barely bend her body enough to turn a circle. Her obesity meant that she had a hard time getting up from sitting or lying down. She had to literally lurch herself upright. Her nails were very long making it all the harder for her to walk properly. That was back in early February. Almost five months ago.